The perfect combination of Personal Misters and Body Apparel! The Stay Cool Pack includes Misty 2.5's and Arctic Ties that will keep you cool for hours! 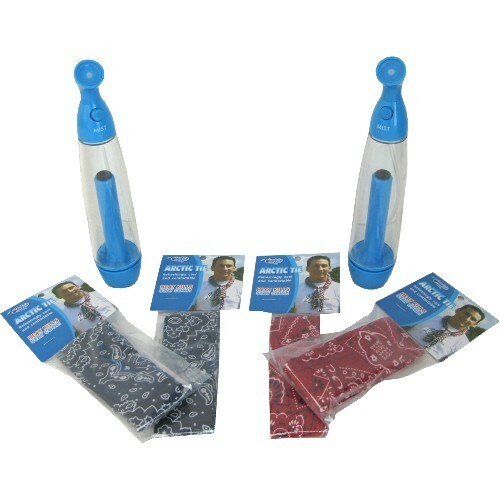 The Stay Cool Pack includes the unique combination of MistyMate Personal Misters and MistyMate Body Apparel. This combo pack includes Misty 2.5's and Arctic Ties. • Personal misters are small enough to fit inside a purse or backpack. • Arctic Ties can be used over and over again!